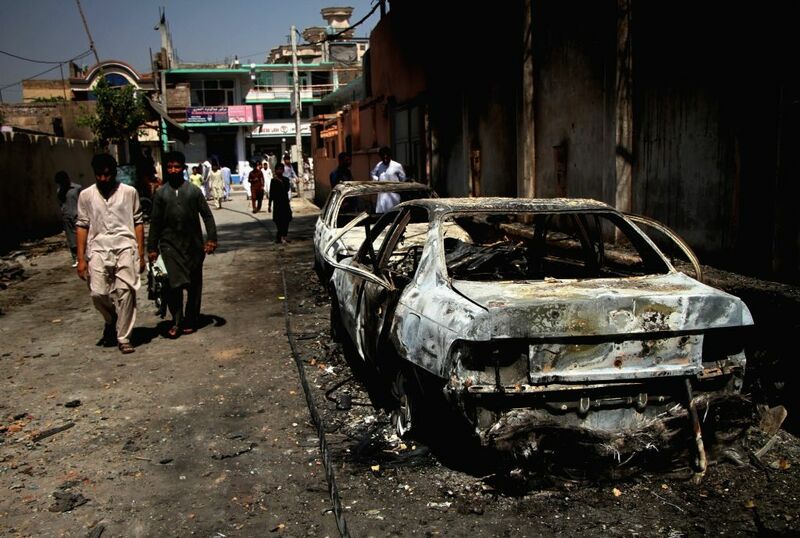 JALALABAD, Aug. 1, 2018 - Photo taken on Aug. 1, 2018 shows damaged vehicles at the site of an attack in Jalalabad, the capital city of Nangarhar province, Afghanistan. 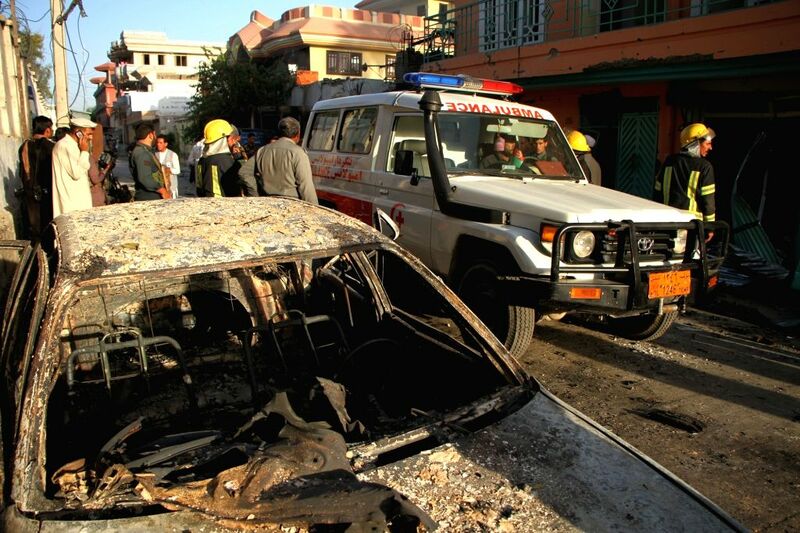 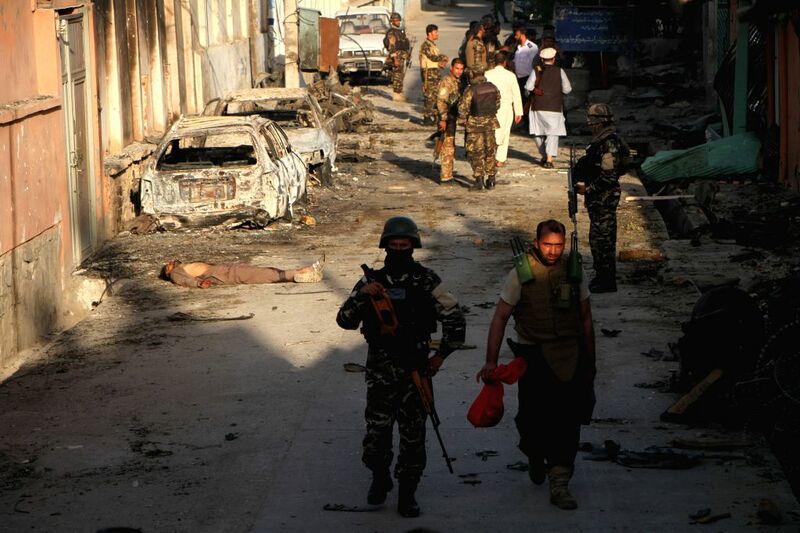 Eighteen people, including three assailants, were killed and 15 others wounded in a terrorist attack against a government office building in Jalalabad, an eastern town in Afghanistan on Tuesday, the provincial government said. 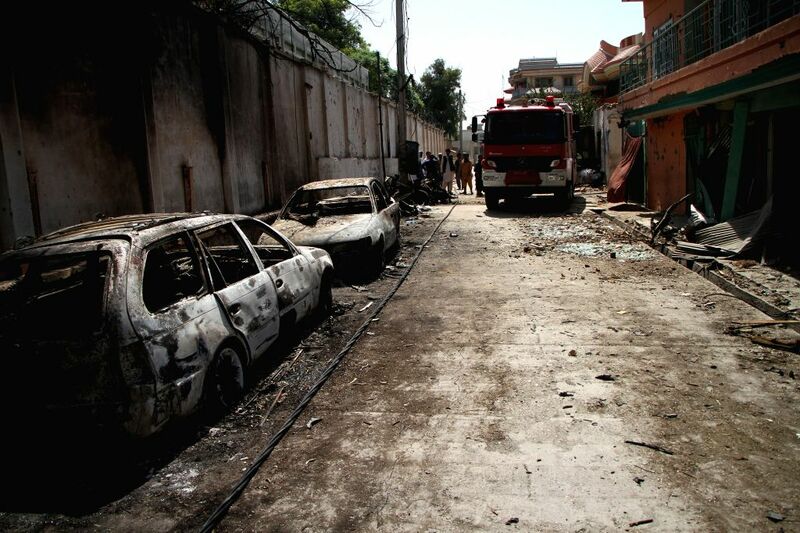 Photo taken on Aug. 1, 2018 shows the site of an attack in Jalalabad, the capital city of Nangarhar province, Afghanistan.